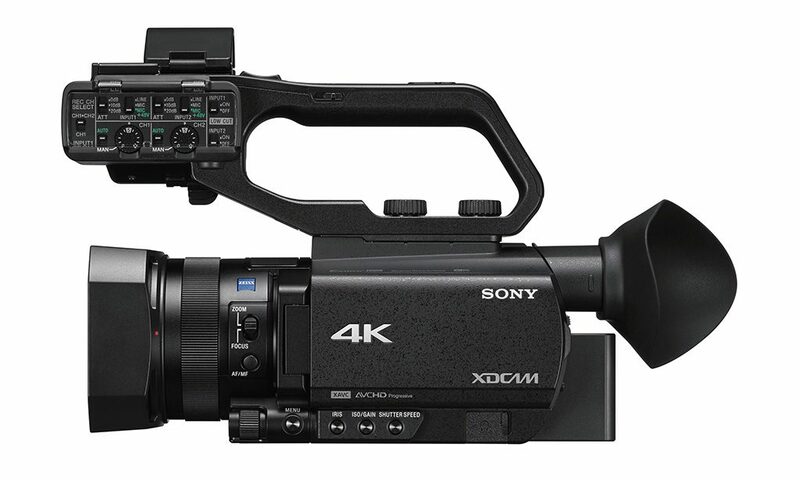 Sony used IBC to announce three new 4K HDR (High Dynamic Range) camcorders featuring its Fast Hybrid AF system: the XDCAM PXW-Z90, the NXCAM HXR-NX80 and the Handycam FDR-AX700. All three palm camcorders combine a fast and reliable autofocus (AF) function adapted for shooting with a 1.0-type stacked Exmor RS CMOS image sensor, delivering stunning image clarity alongside a range of versatile shooting features. The new camcorders support an instant HDR workflow, enabling users to produce breathtaking HDR content with minimum post-production to suit a range of content creation scenarios and applications. The Fast Hybrid AF system ensures highly-accurate focusing and tracking during shooting, delivered by 273 phase-detection AF points that cover approximately 84% of the shooting area, high-density placement of autofocus points and a newly developed AF algorithm. This reduces the burden of focusing especially when highly accurate focusing is required for shooting 4K films. 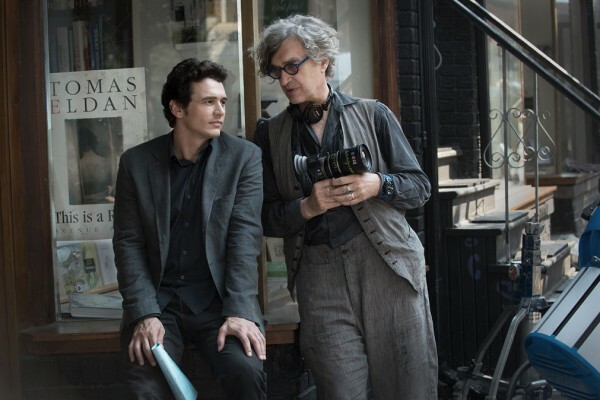 In movie recording mode, the appearance of phase-detection AF frames indicates the focused area and allows users to easily monitor a subject that is in focus. The new camcorders feature a high-resolution OLED viewfinder (0.39” OLED, 2,359k dots) and a 3.5” large LCD screen (1,555k dots) with advanced touch screen operation that allows users to quickly switch focus from one subject to another. The AF Drive Speed, Tracking Depth Range and Subject Switching Sensitivity can all be configured as required for different subjects and content styles. 4K full-pixel readout without pixel binning using an enhanced BIONZ X image processing engine. Super Slow Motion recording up to 960fps, which is industry-leading among palm categories and Slow & Quick Motion Full HD recording up to 120fps S-Log3/S-Gamut3 capabilities for users to create and work with images as they desire 29mm wide-angle ZEISS® Vario-Sonnar T with 12x optical zoom lens and 18x Clear Image Zoom Less image distortion (rolling shutter phenomenon), in comparison to conventional models, when shooting subjects in motion. Workflow efficiency benefits such as Proxy recording, relay recording and simultaneous backup recording are also delivered thanks to the new camcorders’ dual memory card slots and multi-camera operation capabilities supported by TC (time code)/UB (user bit). 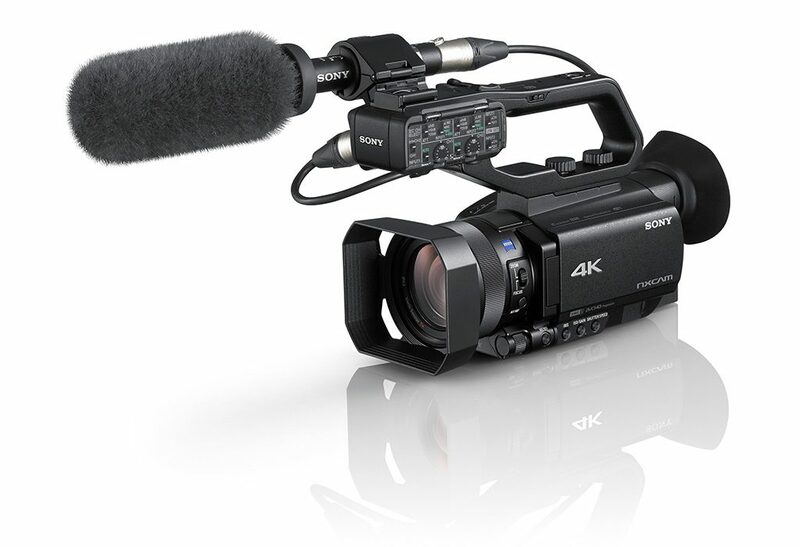 The new camcorders also have REMOTE terminals, Multi-Interface Shoe, and HDMI Type A connector to ensure enhanced operability. In addition to the above key features, the XDCAM PXW-Z90 and NXCAM HXR-NX80 also feature a dual XLR audio input, a detachable handle, and access to Content Browser Mobile — a supporting smartphone application to enable Wi-Fi monitoring, camcorder remote control and wireless timecode sync between multiple cameras. The PXW-Z90 also includes several features to suit broadcast-specific requirements — XAVC format recording that provides high-quality images at 4:2:2 10 bit (HD) and 4:2:0 8 bit (QFHD) in addition to conventional broadcasting MPEG2HD format recording; 3G SDI connectivity for compatibility with existing broadcasting equipment; and networking functions to support news reporting, such as compatibility with XDCAM air, the Sony cloud-based ENG subscription service. NXCAM HXR-NX80 and Handycam FDR-AX700 adopt XAVC S, an extended format of XAVC for consumer use and it can record high-defined 4K films. The XDCAM PXW-Z90, NXCAM HXR-NX80 will be available in December 2017 and Handycam FDR-AX700 will be available in October.